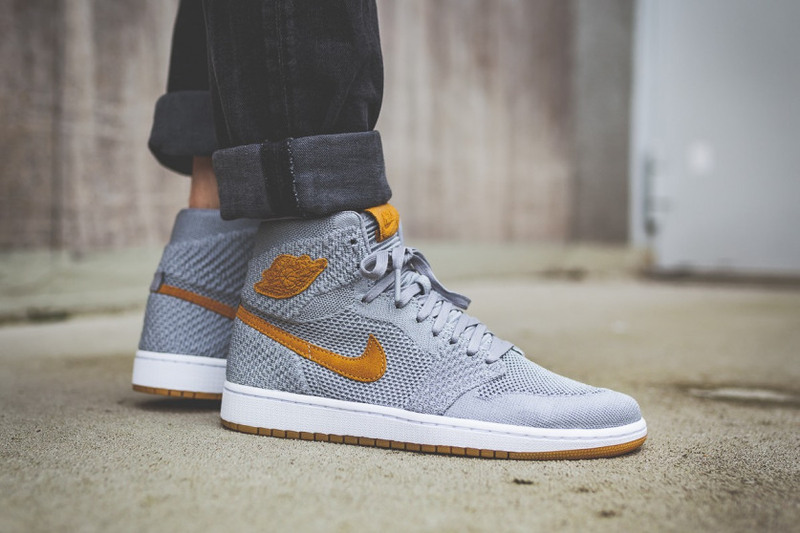 Air Jordan 1 High Flyknit ‘Wolf Grey’ has softly crafted material that covers the upper in a light shade of grey. This flexible material contours to the foot with chunkier sections which add support at the heel, ankle surround and across the midfoot. It makes the shoe way more lightweight than conventional leather models without sacrificing on that secure and stable fit. All the original AJ1 details remain intact with an oversized Swoosh sitting along the sidewall as well as wings logo on the collar. These provide a nice contrast to that wolf grey colour scheme in a rich shade of brown. 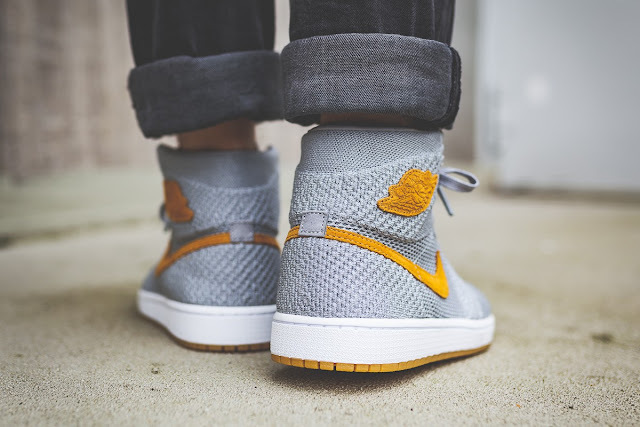 A low profile midsole sits underfoot and balances the look in white. A sticky gum outsole keeps you glued across all surfaces. 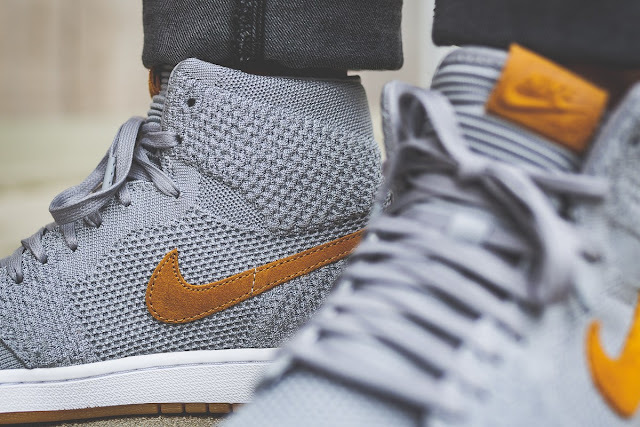 The Air Jordan 1 High Flyknit ‘Wolf Grey’ is available at selected retailers.